There was nothing ordinary about Giovanni Lucchi and his craft. 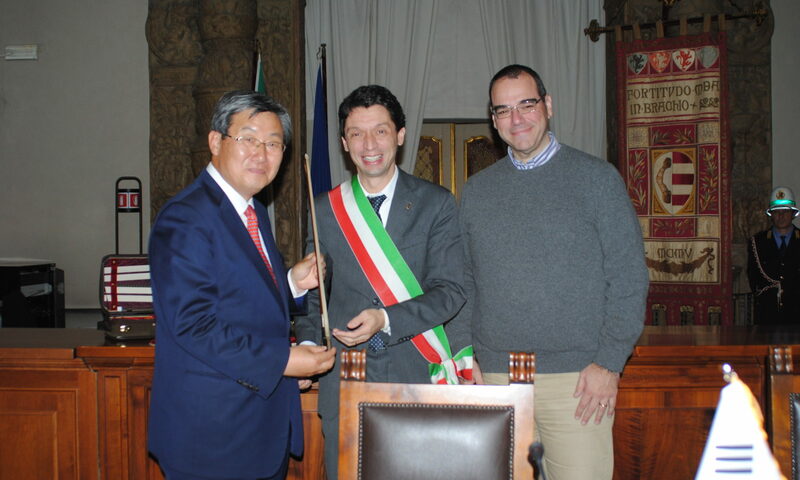 He was one of the most famous bow makers in the world. He made bows for stringed instruments that have been placed into the hands of the greatest contemporary musicians. 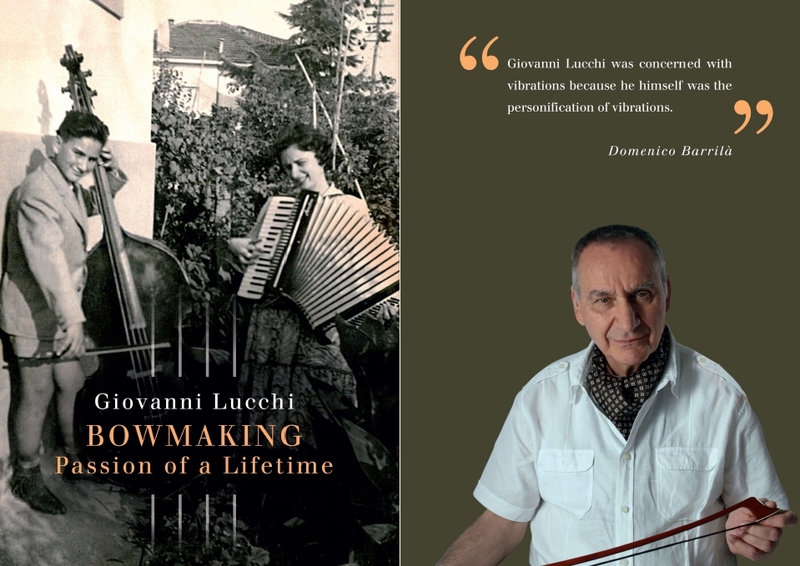 Elegant, a little ‘sly, serious and playful at the same time‘, Giovanni Lucchi stayed focused in his laboratory, but was always open to the world, aiming to grasp every little vibration. The exact moment when it was decided to tell his story was a unique experience. The scarf around his neck, his eyes bright, the rhythm between his fingers, have entrusted us with his triumphs and his weaknesses, his experiments and his failures, his method and his hopes. This is an autobiography that tries to put a little – ‘not too much’ – of the order among his memories. Since he was a child, climbing on the stool to face the doublebass (which was much taller than he was), he devised an empirical method for measuring the vibration transmissibility of the wood. He played with friends up and down the Adriatic Coast. He also earned the trust of Rostropovich, creating for him an elastic and springing bow, similar to his intelligence and his passion. 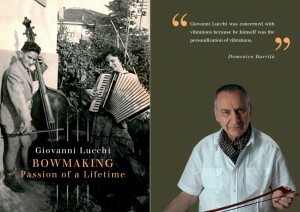 Giovanni Lucchi, bowmaker born in 1942 in Cesena, a town in Emilia Romagna (Italy), died suddenly in Cremona in August 2012, shortly after writing this brief autobiography. These pages contain his memoirs, his principles and his projects, all of which have become his legacy. He has left an invaluable treasure for those who will follow the path he has traced with intelligence, creativity and great passion.